Pro cycling’s moment of the year was Chris Froome’s breakaway on stage 19 of the Giro, says Sean Kelly. Sean Kelly has picked Chris Froome’s 80km solo breakaway during the Giro d’Italia as his biggest moment of the 2018 season. Froome seemed to be out of the race but pounced with an epic escape. He’d win stage 19 solo and took the race lead. 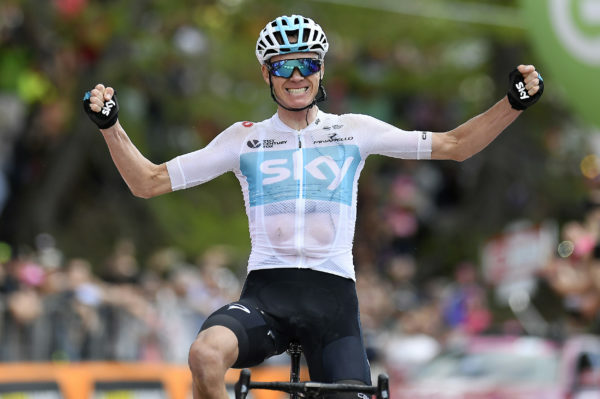 And Froome then held the leader’s pink jersey for the next two stages to scoop the overall title. It saw him hold the Tour, Vuelta and Giro crowns all at the same time. When asked about the season, Sean Kelly picked that stage 19 ride by Froome as the biggest moment of the campaign. 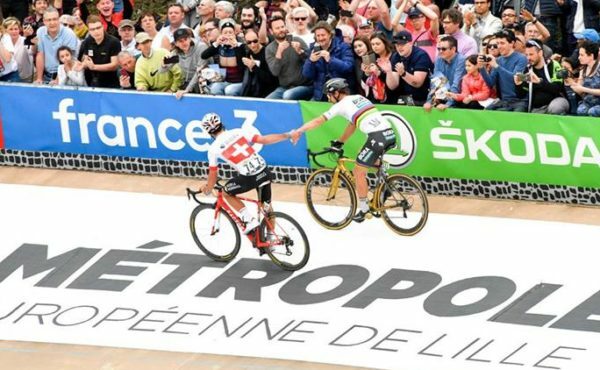 Froome was 3:22 down on race leader Simon Yates at the start that day and 2:54 off Tom Dumoulin (Team Sunweb). But he would win the stage solo, by exactly three minutes, from Richard Carapaz (Movistar). Dumoulin was 3:23 down and Yates completely cracked, losing almost 39 minutes. That put Froome into the maglia rosa, by 40 seconds from Dumoulin. And 48 hours later he rode into Rome the winner. At the time his salbutamol case was still ongoing and the breakaway raised eyebrows. He has since been cleared of any wrongdoing. “We thought many times during the Giro that Froome wasn’t at the level he’d like to be at to challenge to win,” Kelly said. “And then when he did go on that breakaway and ride 80km on his own; and holding off the chasing group of five riders… That was amazing. Mas in the Vuelta and Sagan at Roubaix; two of the biggest moments of the year according to Sean Kelly. 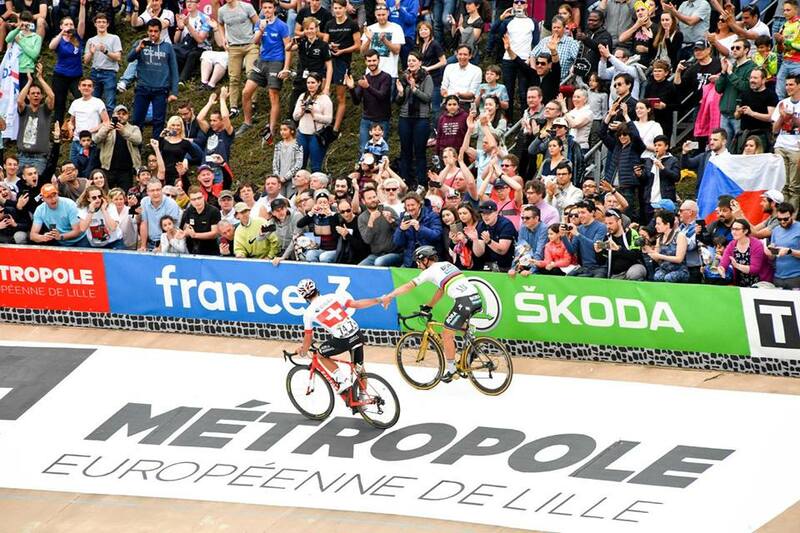 Turning his thoughts to the classics, in a season when five different men won the monuments, Kelly selected Peter Sagan’s Paris-Roubaix win as his stand-out classics moment. “The breakaway of Sagan; I was certainly very much doubting him when he went on the attack,” he said of the three-time world champion. “I said to myself that ‘this is one where he’s going to burn himself too far out’. But he did that amazing ride. “He got across to the breakaway of a number of riders out front and continued on and got his Paris-Roubaix victory. “But that’s the way the classics have been in the past number of years; long breakaways. “We saw last year Philippe Gilbert in the Tour of Flanders going from much too far out, I thought, but managing to hold on in the end. Kelly added he was particularly impressed this year with Enric Mas. 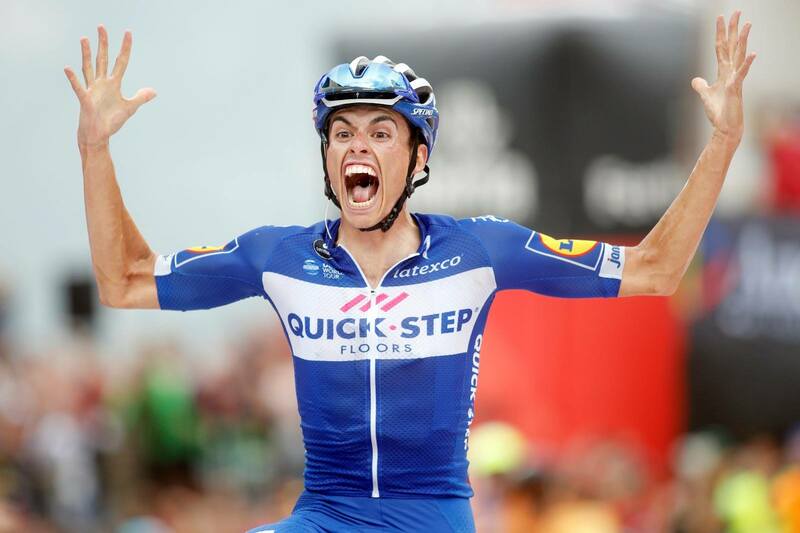 The QuickStep rider was 2nd in the Vuelta to Mitchelton-Scott’s Yates. He thought the young Spanish star was the stand-out rider in the most exciting race of the year; the Vuelta. Mas won stage 20 and finished 1:46 behind the overall winner in the final standings; achieving those results aged 23 years.